Mainly for outdoor advertising, information publishing, journalism and communication in some places, such as cultural square, traffic arteries, stations, terminals, information centers, entertainment venues, shopping, centers, commercial city and etc. 1. 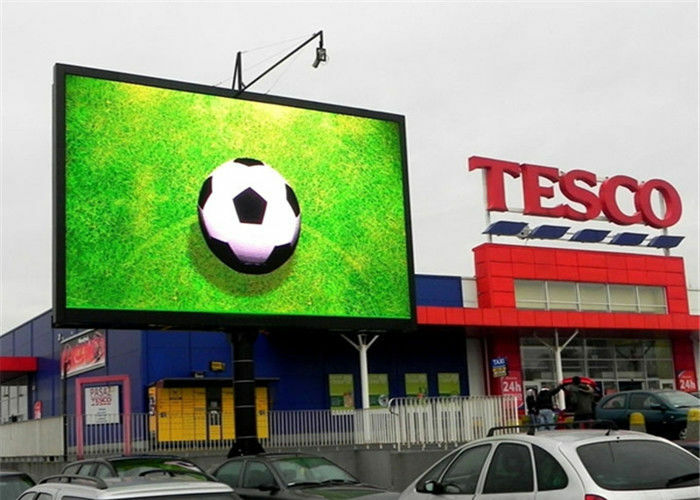 High brightness DIP LED is used for outdoor led display, keeps the display content visible even if facing the strong sunshine directly. 2. With Anti-UV ray mask, the color of the mask would never change even under exposure of UV ray . 3. Weatherproof design, completely outdoor use. 7. The LED Chips that we use have the advantages of large viewing angle, low power consumption and good color uniformity.